With the change of the season and summer well on its way, most tree nurseries have stopped dispatching tree stocks. However, containerised tree stocks are still able to be planted right through spring and PF Olsen Nursery at Waiuku will be dispatching tree stocks into early November. 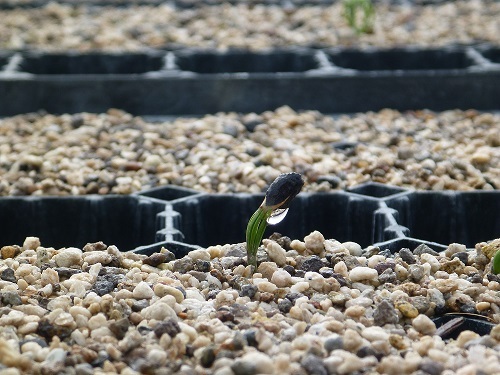 Extending the planting window assists our customers in a variety of ways: addressing labour availability; [unexpected] increases in planting areas; contractor delays; planting in frost-prone areas and increasing returns by planting a season earlier. I always enjoy this time of year as we are closing the book on one season with all the excitement and optimism that the new season brings - we have learnt valuable lessons and have new customers to grow tree stocks for. All of the Radiata pine seed is now sown for next year's orders, including provenance trials and variations on our standard Trichoderma treatment which improves the tree’s resistance to diseases such as red needle cast and root rot. We are now turning our focus to alternative species. This year we have had great interest in manuka, eucalypts and redwoods. We will also have a go at growing flax for a riparian planting program. With all this interest we have been able to fill the nursery to capacity, allowing us to look at expanding into a neighbouring block that was purchased a year ago. Once the expansion has been completed it will take the capacity of PF Olsen Nursery to 10 million tree stock units per annum.